Esther Anatolitis is a writer, facilitator and critic with an abiding interest in how art creates public space in all its forms. Her practice rigorously integrates professional and artistic modes of working to create collaborations, projects and workplaces that promote a critical reflection on practice. A passionate advocate for the arts, Esther is Executive Director of NAVA, Deputy Chair of Contemporary Arts Precincts, and a former director of ACMI and Elbow Room. 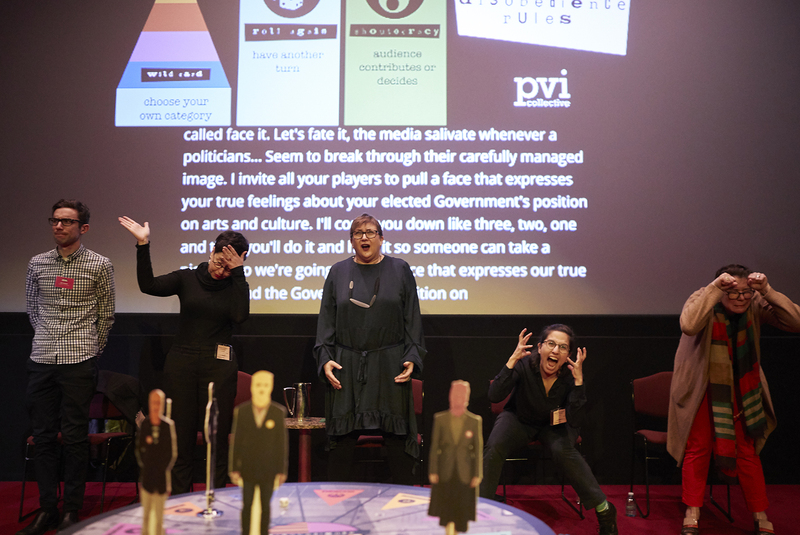 we were very fortunate to work with esther on disobedience rules: the policy edition, a bespoke version of the work for nava’s future/forward event at parliament house, 2018.